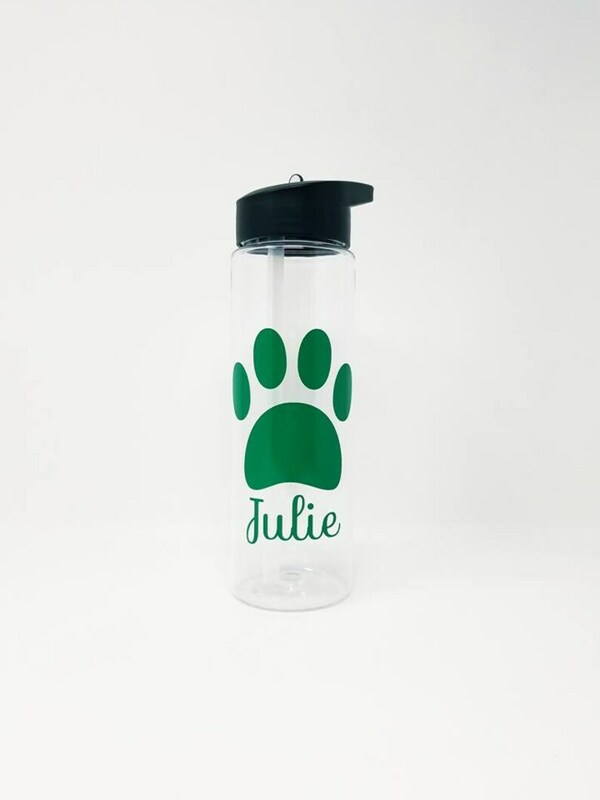 Vinyl lettering decal can be personalized at checkout. 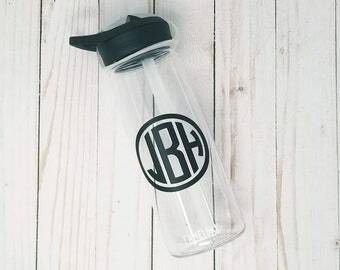 20 lettering colors available. 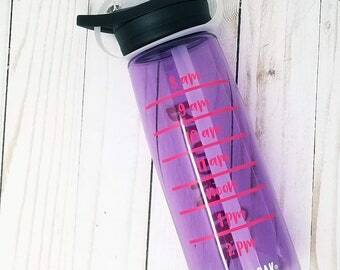 Bottle color will be clear, as shown in photo. 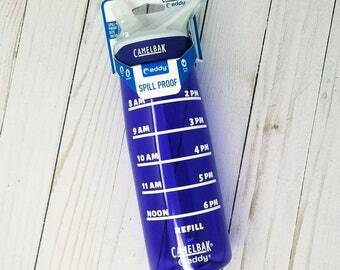 Please leave name in the order notes at checkout. 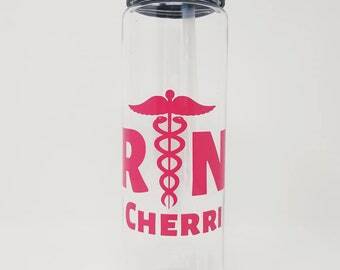 If no name is given, bottle will be processed with just the design, no name. 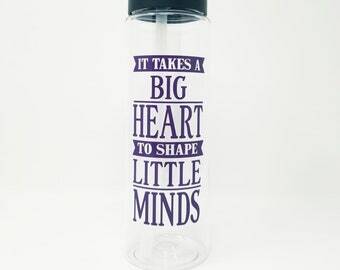 Bottle is shatter resistant, 100% BPA Free. 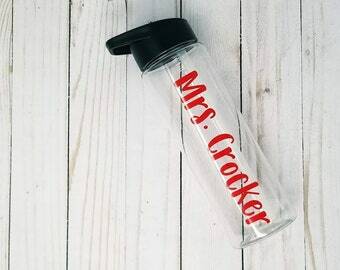 Twist on lid with a clear flip up spout with sipper straw. 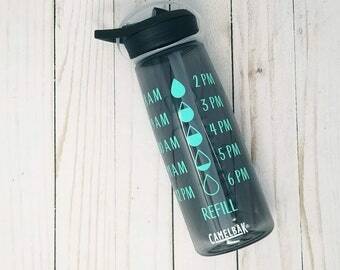 Water Tracker Decal - 7 AM- 23 Colors To Choose From! 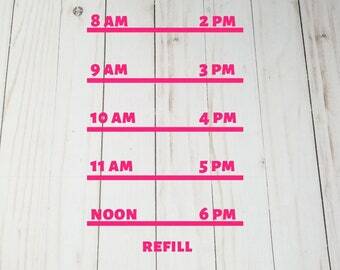 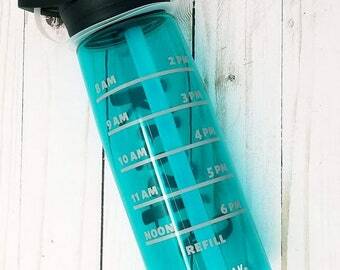 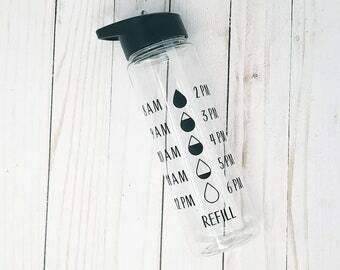 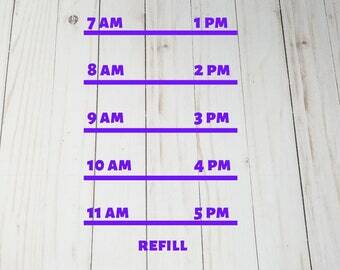 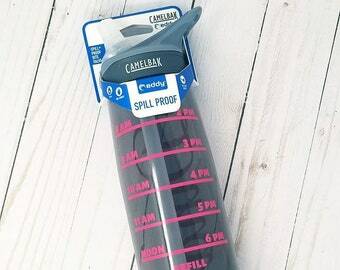 Bottle Decal, Vinyl, Hydrate, Consumption, Measure, Intake FREE SHIPPING // 3.4x5"